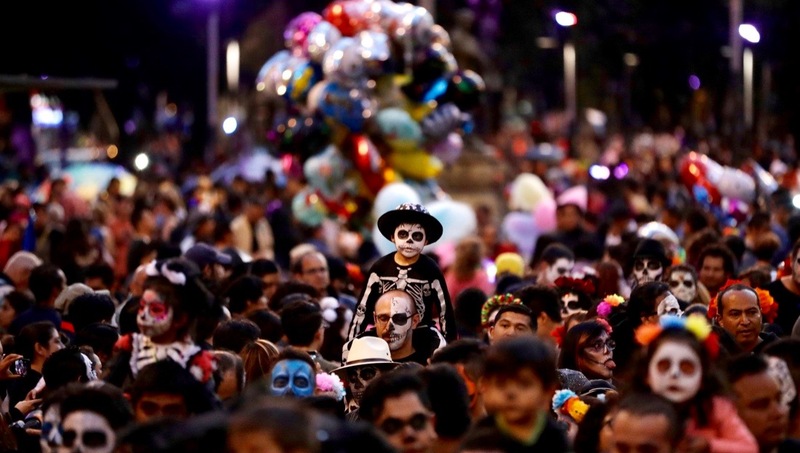 In Mexico City, the annual Day of the Dead parade held special significance after the devastating quakes last year. 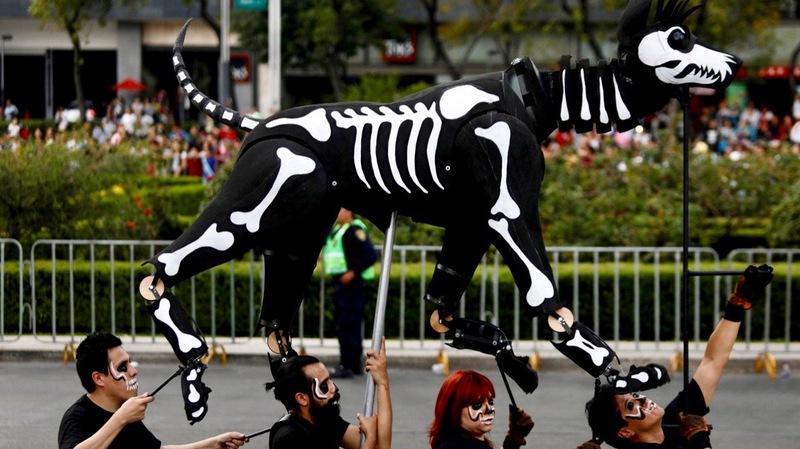 With faces painted as skulls and bodies made up like skeletons, throngs of performers marched through the streets of Mexico City in a Day of the Dead parade in a country still mourning the nearly 500 people killed in back-to-back earthquakes last month. Thousands of onlookers cheered and applauded as a giant raised fist constructed out of hard hats and pickaxes led the procession, signifying the defiant spirit of a country hit with one of its worst calamities in decades. 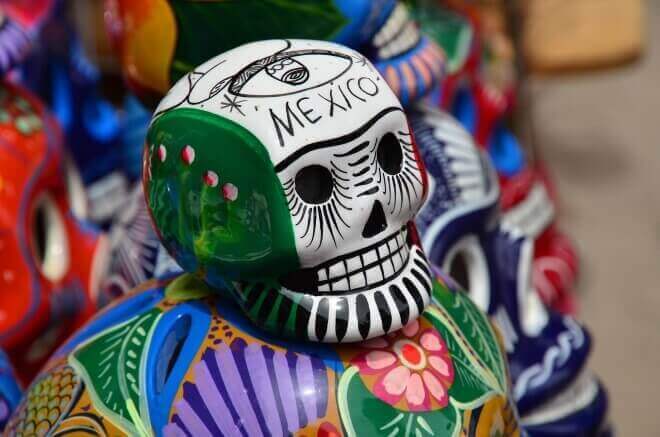 An 8.2-magnitude quake — the most powerful to hit Mexico in a century — struck off the Pacific Coast shortly before midnight on Sept 7, 2017 setting off tsunami warnings, burying hundreds of people under collapsed buildings and scattering frightened residents into the streets. 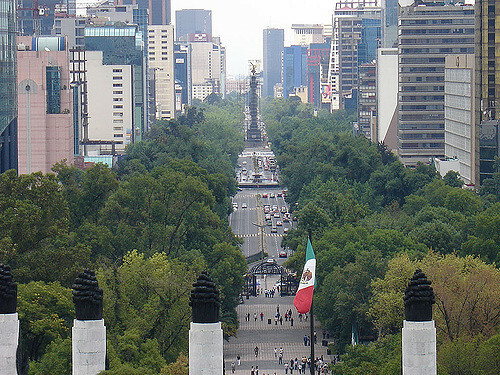 Then, on Sept. 19, 2017 a 7.1-magnitude quake struck about 400 miles from the epicenter of the first one, toppling buildings, cracking highways and killing more than 200 people in Mexico City, the capital. “For us as a society, it was something very violent that moved our conscience,” Ramón Márquez, 51, wearing an orange T-shirt emblazoned with the phrase “#fuerzamorelos” or “Be Strong Morelos,” said of one of the quakes, Reuters reported. 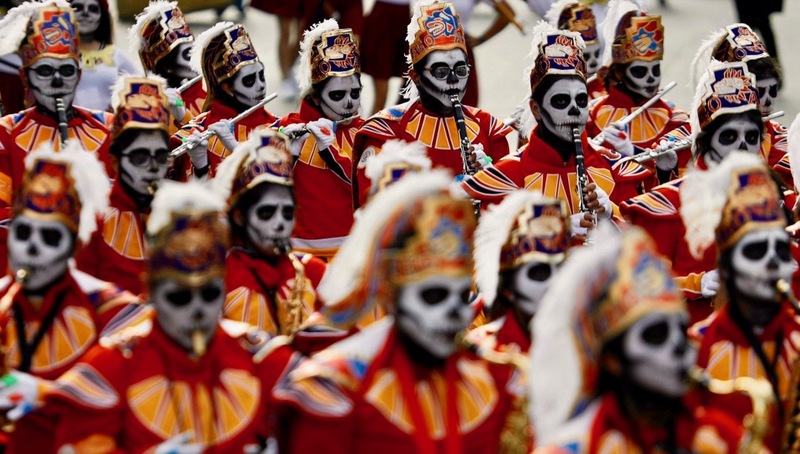 “The parade could be a distraction, a way of escaping,” he added. There were dancing devils. 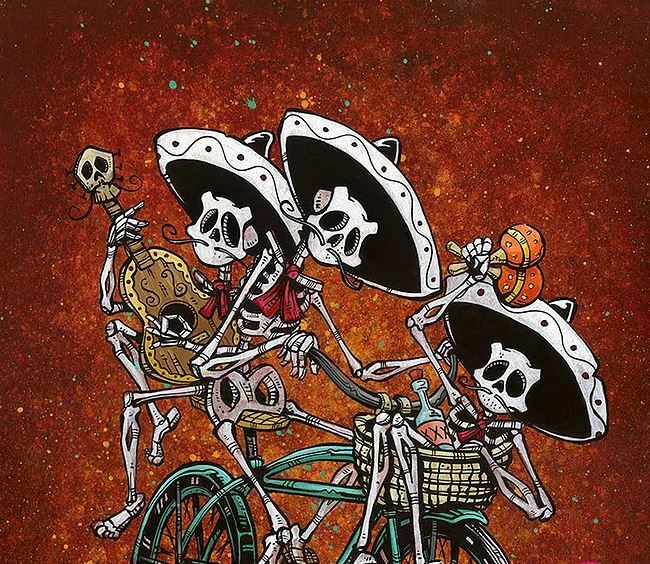 Towering skeletons. Altars festooned with marigolds. 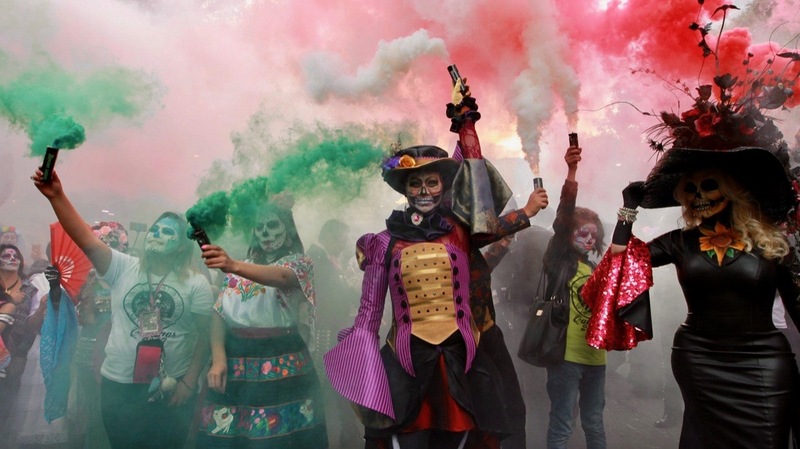 All paraded down Mexico City’s main thoroughfare to kick off the annual Day of the Dead festivities that run through Nov. 2 with rituals continuing in town plazas, homes and cemeteries leading up to All Saints’ Day. 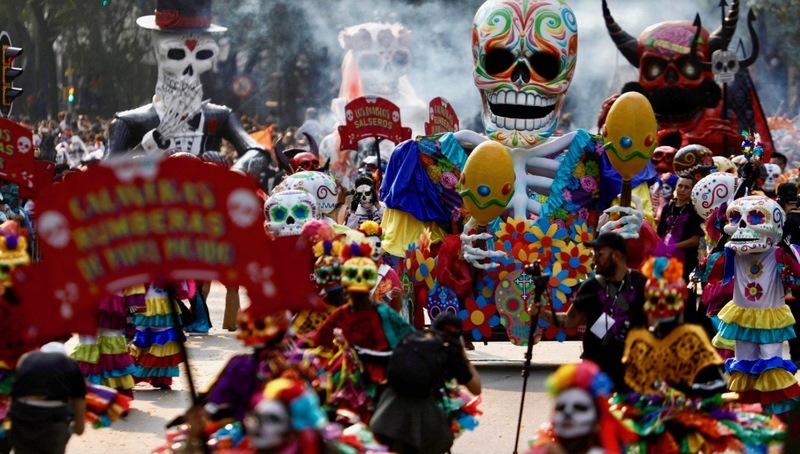 More than 700 performers prepared for months for the colorful afternoon procession along more than four miles of the expansive Paseo de la Reforma. They were joined by a group wearing fluorescent aid-worker vests who marched with fists in the air — a tribute to the rescuers who had made the gesture to demand silence as they listened for desperate survivors in the rubble from the second quake. 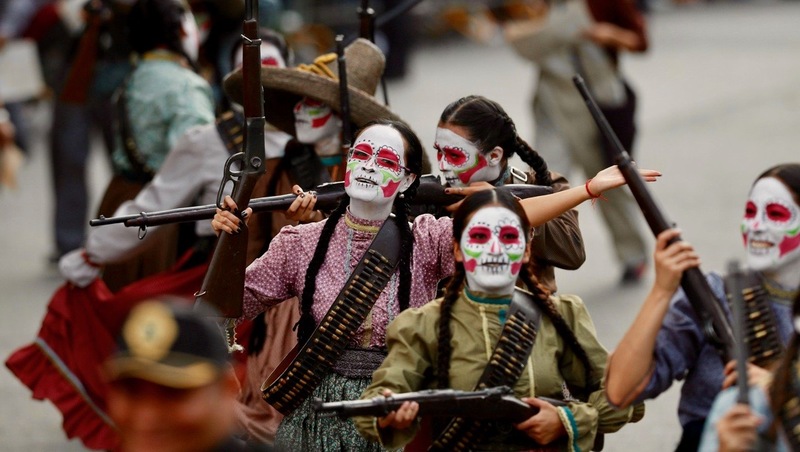 But the earthquakes did not diminish the centuries-old Mexican celebration. 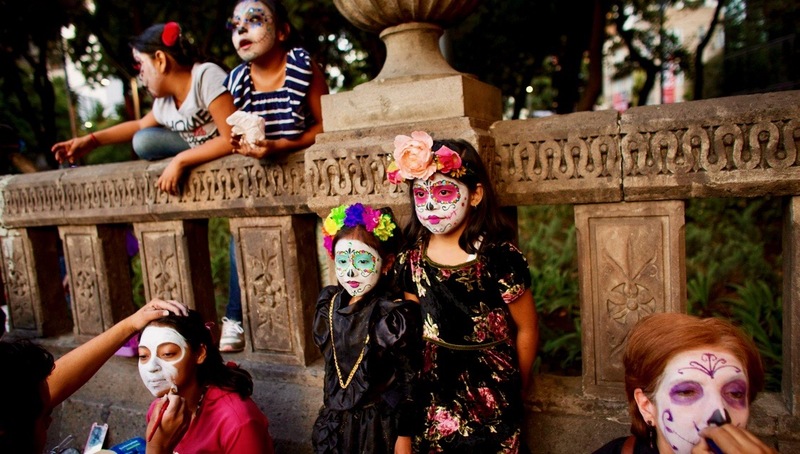 Participants and onlookers alike painted their faces as colorful skulls — many in the style of Mexico’s iconic figure known as La Catrina. 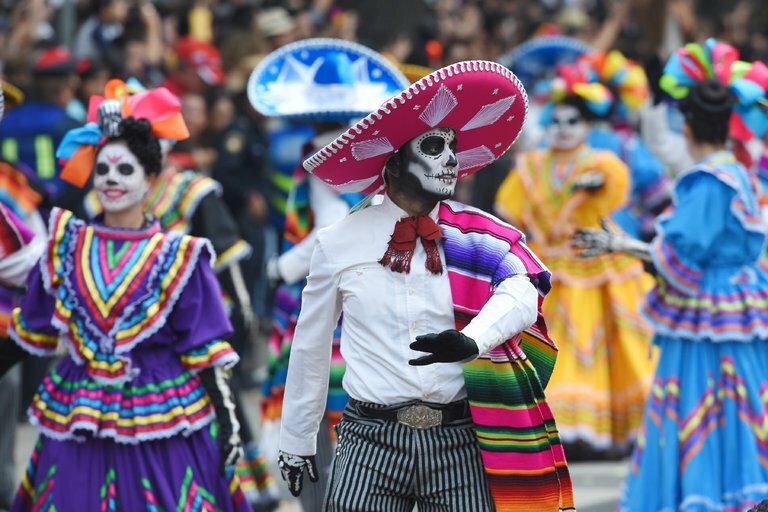 “We’re not only here to celebrate and dance, but also when there’s a disastrous situation we come together to help,” Violeta Canella Juárez, 31, told Reuters. 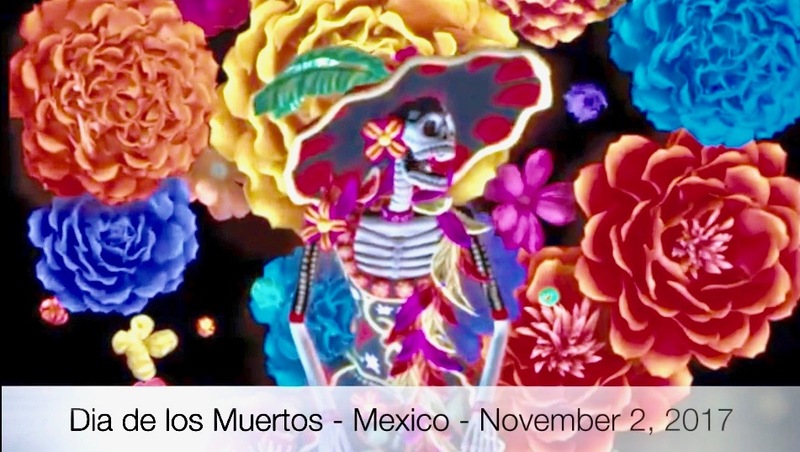 Local news media reported that at least 300,000 people attended 2017 "Day of the Death" parade, up from 200,000 in 2016.